For our annual special in September, we have prepared two entirely new tribes for you: The Huns and the Egyptians. Those of course come with their own set of units! Let’s find out what they are, what they can do and of course: what they cost. The Huns will defend their villages in the beginning with Tier 1 – not really a defensive unit (they have a defense of 40 against infantry and of 30 against cavalry) that also packs a punch when it comes to to being offensive (35? not a bad attack!). They will cost their tribe not much to train so that the Huns will be dangerous right from the start. 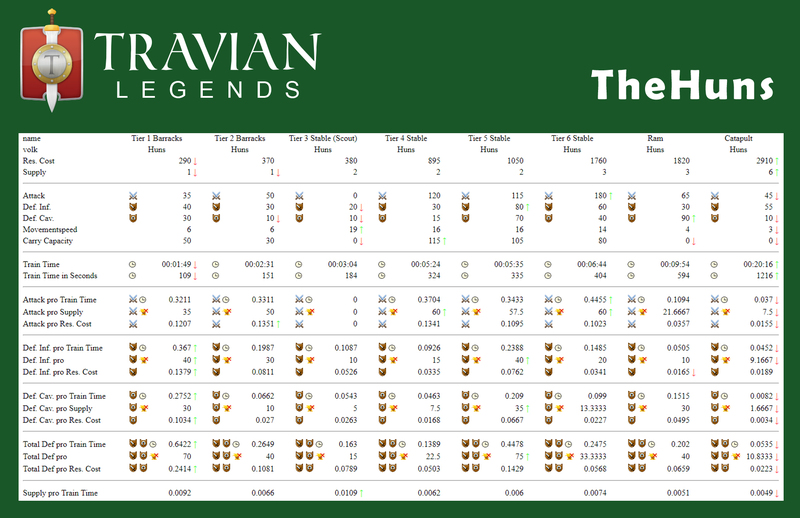 Tier 2 is a testament to the Huns’ affinity for archers: they are almost twice as effective in offensive operations as Tier 1 but with a low defensive score, so they are a natural fit for small attack formations that will raid neighboring towns. When it comes to the Huns, almost all their key units are soldiers on horseback. Tier 3 is a fast Scout with no attack. This unit will report back to you about the state of things, before your opponent has even decided upon their next move! 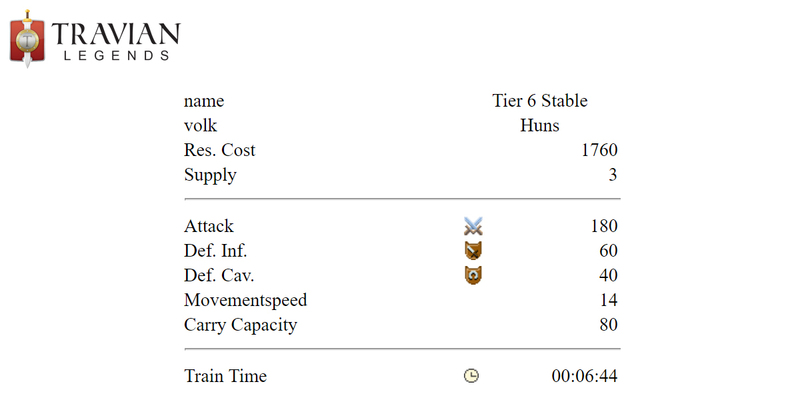 Tier 4 will be the backbone of many attack armies that the Huns are going to send into battle this September: This offensive unit is fast, very effective in pushing the enemy to their limit but should never be left alone to defend itself. Even stronger as Tier 4 is Tier 5, these units are also capable of holding their own when being attacked but high costs make them a risky decision – are you sure you have the resources to afford them? Finally, Tier 6 is the unit for the offensive general who does not like compromises. An incredibly strong attack meets a mediocre defense and a rather low carry capacity – these men are not trained to plunder, they come to destroy! They will most likely be accompanied by one or both of these siege weapons to subdue the enemy: The ram and the catapult. Romans, Teutons, Egyptians… they shall be afraid.